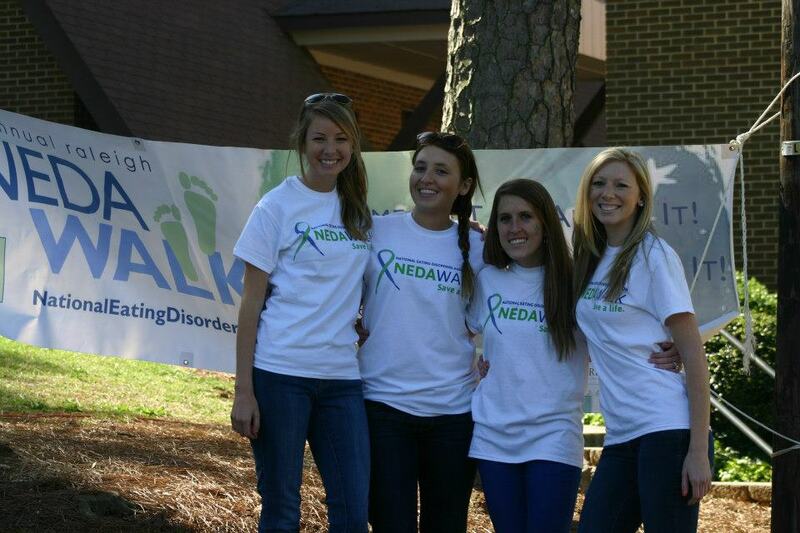 This past Saturday, I attended the third annual Raleigh National Eating Disorders Association (NEDA) walk. The day brought the community together to raise eating disorders awareness and funds for research. Altogether, Katie Ringley (the event director) and her team doubled their fundraising goal, raising over $12,000 for eating disorders research. People from all over North Carolina came to be a part of the incredible event and share their stories of hope and recovery. As you can see, there was a lot to celebrate, and celebrate people did. 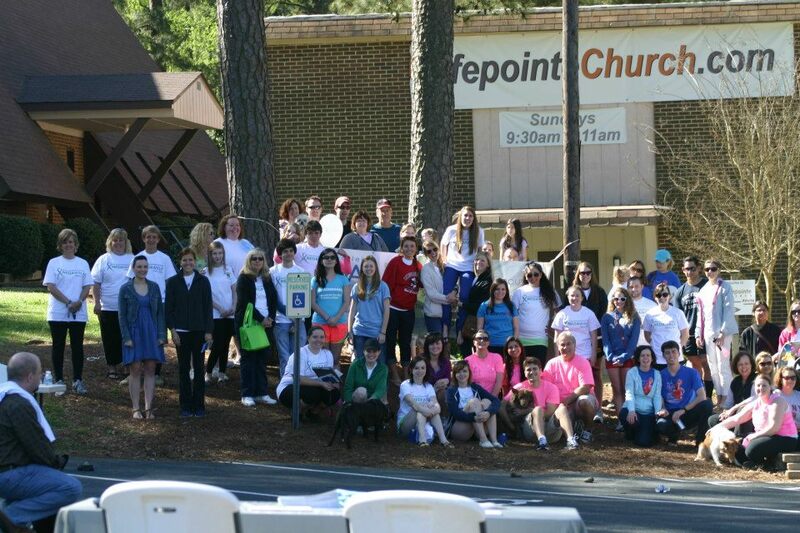 In total, 122 registrants attended the event, all with the common goal of celebrating life. Some celebrated the lives of loved ones they lost from eating disorders. Others celebrated their own path to recovery, whether they had just begun their journey or were months or years into a life free of eating disorders. 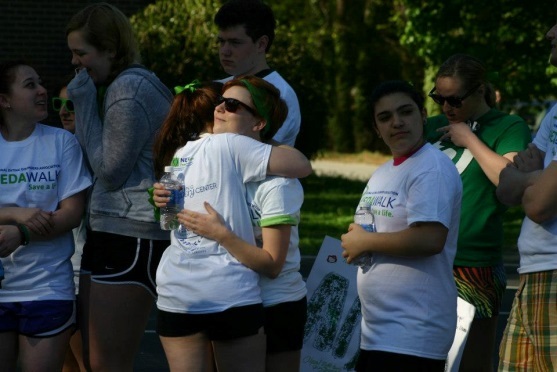 Additionally, family members and friends cheered on their loved ones, walking in support of their son, daughter, sister, father, or friend who once struggled or continues to struggle with an eating disorder. These awe-inspiring men and women shared their stories, embraced each other, and celebrated. Together, under the beautiful blue sky, they walked for life, hope, and each other. 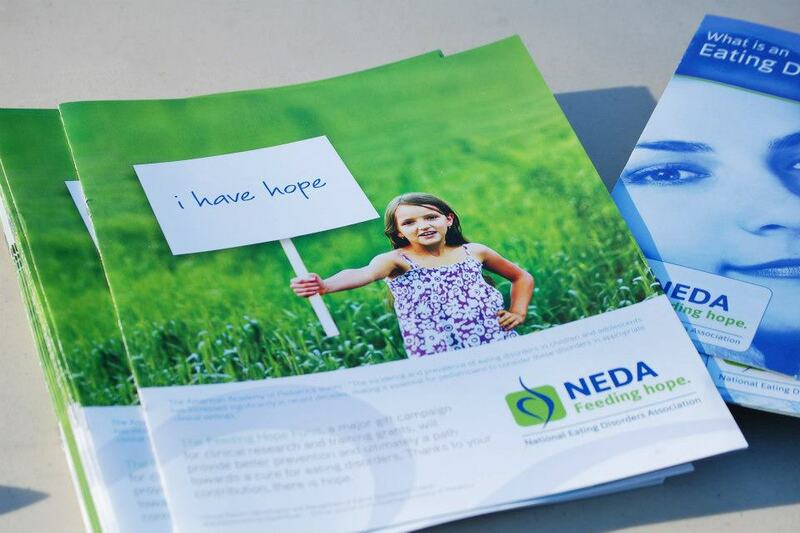 This was my first NEDA walk and it will certainly not be my last. I was truly moved by these brave individuals and the people in their corner. The sense of camaraderie, love, and hope was palpable. Each person had their own unique story, but the message was clear: Life without an eating disorder is possible. I am thankful to Katie and her team for allowing me to represent our center at the event. They did a wonderful job making the day so successful. To those of you I met, thank you for sharing your stories with me, and best of luck to you all.